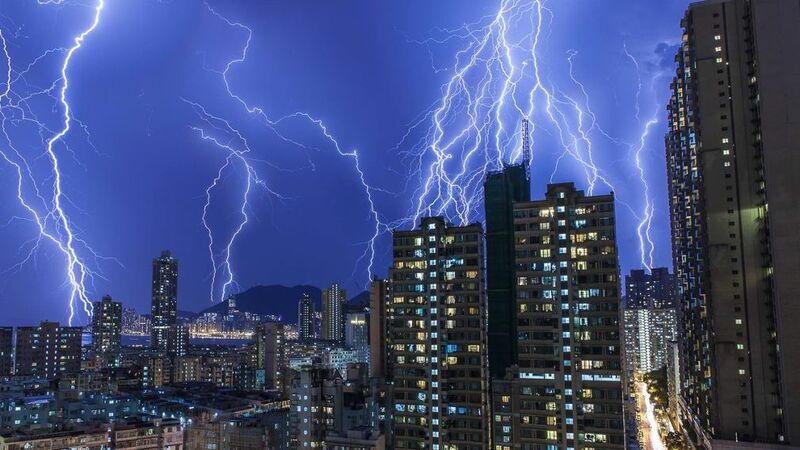 Ten thousand lightning flashes lit up Hong Kong's night sky over the weekend (Jul 9-10) during a thunderstorm that lasted for twelve hours. According to the South China Morning Post, the Hong Kong Observatory said the number of strikes was "very high" for a summer storm. It reportedly surpassed the July 2005 24-hour record of 9966 strikes. However, the Post reported that because the strikes spanned over two days, they might not go down in the record books. Local media posted several images of the spectacle which were sent by the public. The thunderstorm and flashes of lightning began Saturday night and continued till Sunday morning. 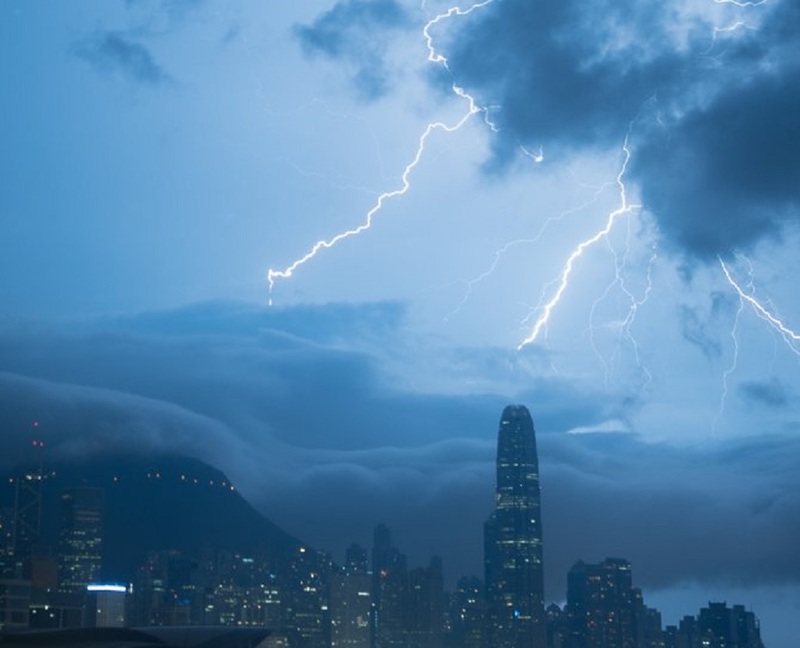 According to the Post, the Observatory recorded 5,905 cloud-to-ground lightning strikes by midnight, most of them hitting Lantau Island and the New Territories. Local media added that an amber rainstorm warning was issued on top of that at 9.55am, as heavy downpours brought more than 30 millimetres of rain. "Saturday's high temperatures facilitated convection, which is the rising of warm air from the ground and this creates unstable air [in the upper atmosphere]. This provides the mechanisms for rain and thunder," explained the Observatory's Tam Yee-ting. You blog is looking great, Gary!